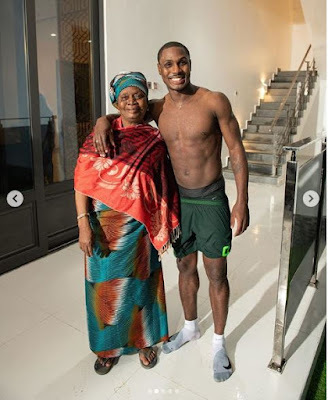 Odion Jude Ighalo, a Nigerian international footballer, has always been very fond of his mother and often seizes every opportunity to show her off on social media. 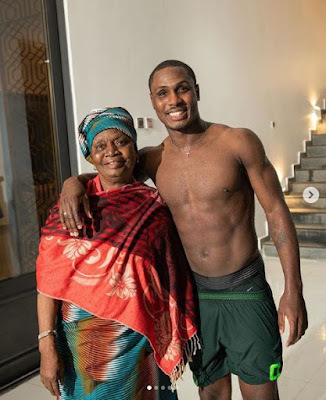 The Super Eagles star who now plays as striker for Chinese club, Changchun Yatai has shared some new photos of himself with his mum on his Instagram page. 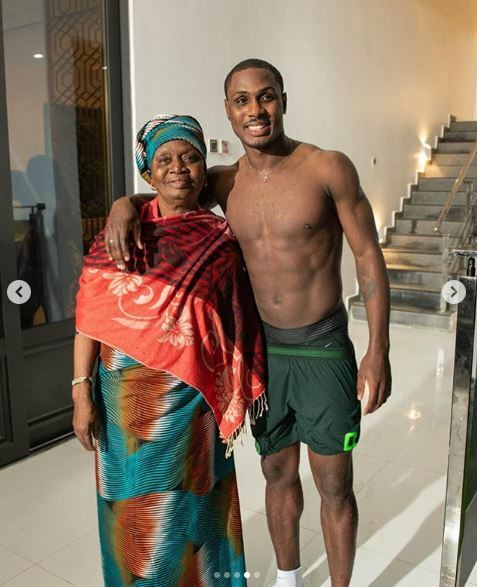 The new set of beautiful images shows Ighalo posing beside his mother without a shirt on his body. 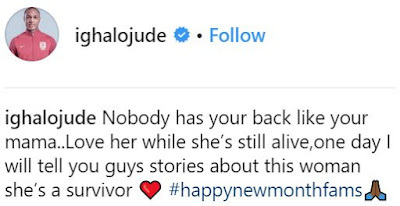 He happily beams at the camera with one hand round his mother's shoulder. A big smile always plays on his mother's face as she looks straight at the camera. Captioning the photo, Ighalo told his followers to love their mothers while the women are still alive because one day they would be gone. 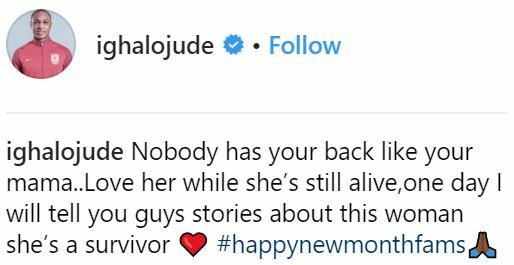 He wrote: "Nobody has your back like your mama..Love her while she’s still alive, "one day I will tell you guys stories about this woman she’s a survivor"